In today’s ever changing business world, business professionals who look to be successful need to be able to quickly adapt to change. Every day it seems that new advances in technology are causing electronic equipment to become smaller, more efficient, and capable of performing tasks that defy even imagination. This same continuously advancing technology applies to the LCD projectors that our clients and potential clients in Alabama depend on to enhance their professional images at potentially career changing corporate events. Rental Projectors Corporation is the only single focused rental company that specializes in the most elite LCD projectors available on the market. Our professional clients in AL are always asking us about the newest and most dynamic digital projectors that they can get their hands on to allow them to gain the upper hand over their competition when presenting their data in Alabama. Our company adapts just as quickly as digital projector technology advances. We pride ourselves on specifically tailoring our rental company around the ever changing needs of our clients. When our clients in Alabama tell our elite team of projector specialists that they need a specific DLP projector or if they offer suggestions about how our company can serve them more effectively, you can be sure that we take their advice and implement it in our everyday business practices. Our goal is to provide our clients in AL with premium LCD projectors that are backed by our first-class team of renting specialists in order to take their professional image to heights they never thought possible. The great state of Alabama knows all about adapting to changing times. Once a state that was almost completely focused on agricultural production is now heavily invested in healthcare, aerospace, education, and banking among several other advanced industrial sectors. When business professionals need to compete in a dynamic economy like Alabama’s, they need to present a powerful and impressive PowerPoint presentation that separates them from the competition. Our unrivaled team of projector specialists will work tirelessly with our potential clients in AL to help them gain the absolute most from our rentals. Our clients in AL know that they can count on our renting specialists twenty-four hours a day and seven days a week to help address any and all questions or concerns they may have with their DLP projectors. Our clients feel confident and prepared that their important projector presentation will impress their potential investors immensely, and they can feel sure that their presentation met and even exceeded the highest standards of professionalism in Alabama. 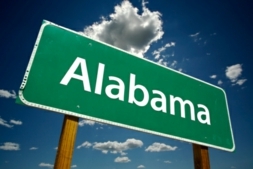 Our rental specialists at RentalProjectors.com are eager to discuss all the possibilities of what our rentals can do for our potential clients in the historic state of Alabama.